Answers to questions such as whether you are filing, single / married filing jointly and how much deductions you take in the year define what your taxable income is and how much you can convert to ROTH before going to the next bracket. With the information we have it is difficult to give an accurate answer to your Q. That said, I suggest you estimate your taxable income ( perhaps with the help of your accountant) before the end of the year and then convert. Also, remember the conversion should happen before the end of the year. Tony - You certainly want to make sure your investments are matched to the strength of your stomach as you watch markets rise and fall. Keep your eye on the long-term too and remember that markets have always recovered and gone higher given time. I purchased a variable life insurance 25 years ago for face amount $100,000. 67 and do not need money. Should I continue to pay tillI die or use my cash value to pay for the premium? Like Tim suggested long-term view is paramount in volatile markets such as the one wee seeing now. Also, Timothy's answer summarizes my views. CJ: Perhaps start by finding out how much you are paying each year inside the VUL for the cost of insurance. It should go up each year as you age and the insurance company should be able to give you that info in an in-force illustration. That way you know how much that part is costing you. Do you need or want insurance? Are you willing to pay that price to keep it? After that look at the internal expenses of the variable investments you are in inside the policy and know how much those are costing you. I received a 1099-R in the amount of $508,057 for a 457(b) retirement account that was rolled into another retirement account so no taxes were immediately created until the account is drawn upon. What federal tax form do I need to file with my federal income taxes so the amount on the 1099-R is not taxable income for 2015? CJ (Continued): Once you have those answers you can begin to look into what you want to do. if you ditch it altogether and take the $ out generally you'd be taxed on how much the surrender value exceeds what you paid in. depending on your specific you might: leave it alone and keep paying, stop paying & let it slowly eat up the cash value (and possibly lapse someday), 1035 exchange it to another different type of life insurance policy that is paid up, 1035 exchange it to a low cost annuity, or cancel it and take the $ out altogether, pay any taxes due on the difference between what you paid in and got back out (if you got more back that you paid in) and invest it differently altogether (probably in cheaper more efficient investments. Any of those might be a good approach depending on your full circumstances. I'd consider hiring a fee-only planner for a few hours to look at this with you because there are a lot of choices to consider... And make sure that they feel comfortable giving advice on these types of insurance products, I think that most but by no means all fee-only planners do. Lynn - You should receive a 5498 from the retirement account you rolled into. You should check with a tax professional on what you need to file. I have $500 at the end of every month after all my bills, are paid. I'm wondering what should I do with it. I max out my 401k, have no debt. Should i pay down my HELOC or mortage (i plan to stay in my house another 5 years). Should i increase my emergency funds from 3 months to 6 months. or should i invest in mutual funds or stocks? Lynn, I am not a tax expert, but I think line 16 on your 1040 will include the distribution amount and 16b will have the taxable amount (in your case 0). Please do verify this with your account to ensure this indeed is true in your unique situation. Why aren't the amounts that apply to increasing the amount paid for Medicare coverage ($85,000 and $170,000) indexed to inflation? Why are these amount so low? If a mutual fund is under performing compared to benchmarks, say 20-30%, does it make sense to sell it and invest the money in a different fund or wait a bit and see it recovers. This is within an IRA. I am 31 years old and have a SEP IRA thru my employer. I also max out a Roth IRA. When doing 'Will i have enough for retirement?' calculations, I struggle with how to characterizing my savings. Employer maxes out SEP IRA (25% salary) so for calculations should I say I save $5500 (Roth) + 25% salary (SEP IRA) yearly? It's hard projecting how much I'm going to have so far out! calculation that I can use to arrive to the best decision possible. area that I like is in the 7-9 range per the goodschools.org website. I really appreciate any help or suggestion that you might have. www.kiplinger.comHere's a rundown of the plans for the self-employed and small-business owner. Julie: That depends on a number of things... First make sure that the benchmark is actually similar to the fund's objectives and an appropriate comparison. For example, it wouldn't be useful to compare a balanced fund that's 60% stock and 40% bonds to a 100% stock index like the S&P 500. If the fund is compared to a truly comparable benchmark and is underperforming that much, try to find out why. Passive index funds should generally underperform their indexes slightly. Actively managed funds usually try to exceed the performance of their indexes in some way (more upside, less downside, or both may be the objective) over a long period of time. For an actively managed fund, more deviation makes sense and it may be a good or bad thing in the long run depending on whether or not whatever decision the fund managers made that's different than what the index is doing was and how that bet pans out in the future. It might have been be the right or wrong move, it's hard to know... This one of the reasons I tend to favor low-cost, passive funds. Hi Alex - Another consideration is the potential for the future property values of a home in a better school district. On the other hand, the private schools bills will eventually end once the children graduate, but property taxes go on forever, unless you move. Alex G - Private schools in your area seem to be cheaper than where I live, so you might want to firm up that figure. Thank you to everyone for all of the questions. We have quite a queue but we hope to get to everyone soon! Is is possible to roll pension payments (e.g. from IBM) to an IRA to avoid taxes if one is still working? If so, is there an age limit (e.g. 70 1/2 ) on doing that? WTerry -- often an employer will offer that direct transfer ability, usually once you reach 59 1/2 years old. There wouldn't be an age limit per se. But some plans don't want participants to remain in the plan once they retire and begin required minimum distributions at age 70 1/2. Anyone here with knowledge on oversea contract taxes?.i know that in order for your income to be tax exempt you must be overseas for a period of 330 days, but the contract ended early at no fault of my own. while i was there i was tax empted. will i have to pay anything in back taxes since i technically was not there for 330 days? or is there some kind of waiver since it wasnt my choice to leave early? Alex, while I am unable to provide a formula, ratio or calculation for comparing private school + low property taxes vs public schools + high property taxes, I will give you a small financial tip if you spend money for the education for your K-12 children. SImilar to 529, you can put away up to $2,000 per year (there are AGI limits) in a coverdell account. A coverdell account differes from 529 in that the funds can be used while you spend it for the private schools. Perhaps, this is another financial consideration in your evaluating the options. WTerry - It sounds as though you have been collecting the pension, and generally pension elections are irrevocable, so don't believe so. If you have not yet begun collecting there may be a lump sum option that may give that ability. Hi WTerry - if you elected monthly payments of your IBM pension there is not an option to roll it to your IRA. You could increase your 401k contributions to help offset the increased taxers. 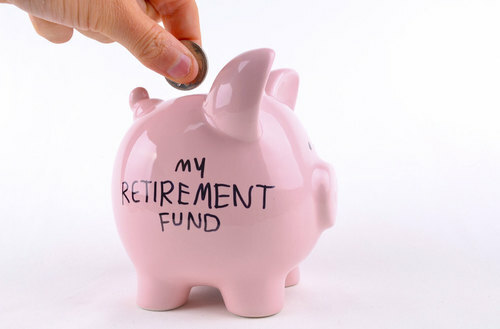 With IBM you may also have the option to withdraw the lump sum which can be transferred to an IRA. Alex, Michael makes a good point, I apologize for not realizing you were taking pension payouts. Alex G: Echoing what the other's said to some extend, school is brief but property taxes are forever... If you want, a good planner can model these scenarios for you. You could probably spitball how long it takes to break even by looking at the difference between property taxes and tuition but it will also likely have implications for your retirement and that may be hard to model on your own. Alex - Consider the non-pecuniary benefits and costs as well. Does the private school offer more opportunities for better college for your kids? Does the better neighborhood have more amenities? With the stock market being so volatile, where should I put my nest egg? Manfred, this is a specialized area of tax. You should consult a tax preparer who specializes in that area. Manfred, your question is outside of my areas of expertise, I recommend hiring a tax professional with experience on this subject, probably a CPA. Yes, my wife collected the monthly pension for the last few years, but we are both still working. I wondered if we could redirect the pension to a roll-over IRA starting in future months. The tax software (TurboTax) 1099-R seems to imply that it could be rolled to to an IRA. I just retired from career #1 as a teacher. I am 57 and will continue to work part time. I have about $90K in a money market IRA. Should I look at the volatile market right now? Is there somewhere else I could put some of the money to make a little more? Ginny - Do you have a pension or 403b too? 1: My husband is 56. He lost his health care insurance in Dec 2015 so he is now on Obamacare. The problem is that Obamacare goes by the Adjusted Gross Income figure on Line 37 of the 1040. I cannot figure out the best way financially to file. Because of his health, he has a small repair business that doesn’t generate much income and we also rents out our farm land to a local farmer for rent income. I am 67 and have social security and pension income. Together we have high deductions but that does nothing to reduce the AGI amount. We are also on a very tight budget for our daily living expenses. I am wondering what options are available when Obamacare does not consider deductions. 2: We are in the process of planting trees on our farm. We also bought a tractor for the farm in 2015. Because we do not have a current positive income from farming, only expenses thus far, I have been told we cannot take a 179 deduction even though hopefully in the future the farm will show a profit. Is that information correct? KS, your questions are probably best served by a tax professional. I am thinking about becoming a CFP. I was told that I can write off the classes towards this certification as they give me knowledge that can improve my financial status now and in the future- like going to a CFP. Is this true? Yes, we see it Don. You're almost up! There were some generic Qs about what should be the Investing strategy in volatile markets. I know my answers are generic as well, but here are some thoughts that I think could steer us in the right direction: 1) focus on long-term goals and try to see the forest for the trees (I.e. Get a 'big picture' view). 2) Take advantage of dollar cost averaging by investing periodically. You're almost up too, Mft. Thanks for your patience!